Are you ready to be shrunken down to a magical world of talking slugs, forest warriors and evil forces? 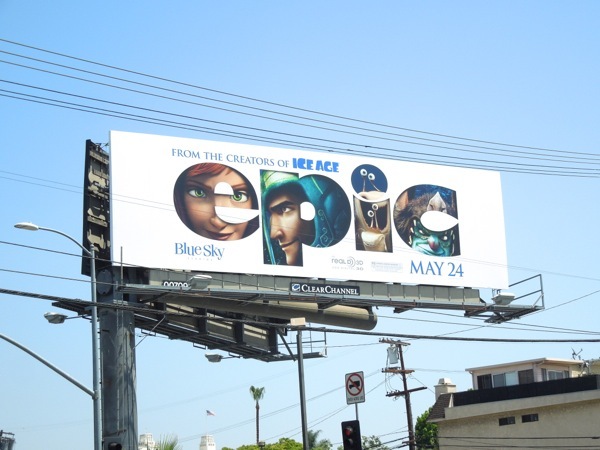 Then get ready for an Epic new animated tale from the creators of Ice Age and Rio. 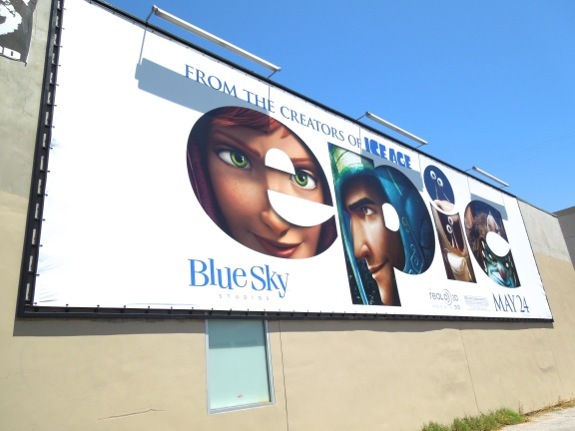 This billboard design is a clever and brave move, as a lot of times an animated movie is sold on the appeal of what the characters look like, which you can't really see as well with this creative. 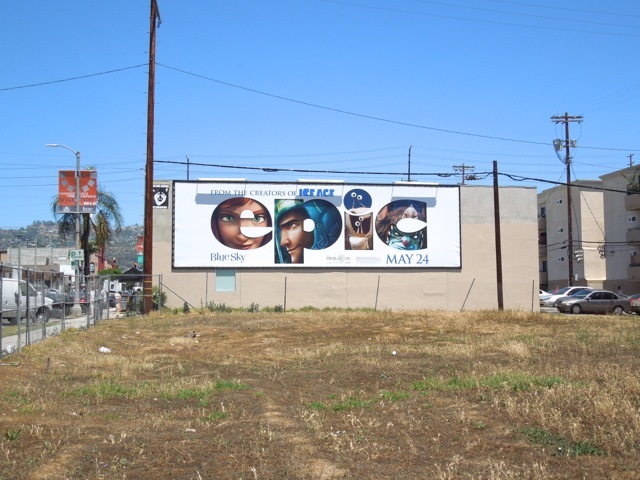 Is the film's cool title enough, or is it too clever for an unknown movie? 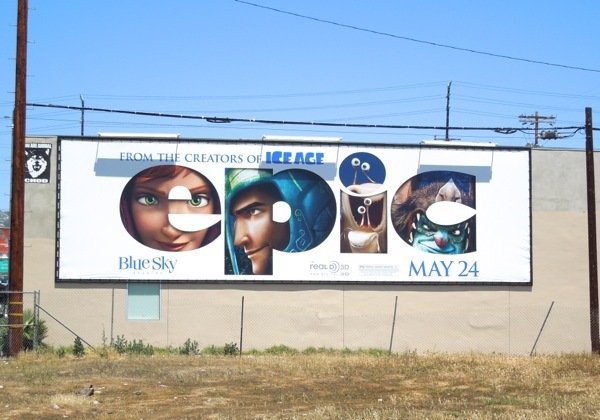 These billboards for Epic were first spied along La Brea Avenue on May 1, whilst another ad was spotted along Robertson Boulevard on May 14, 2013. 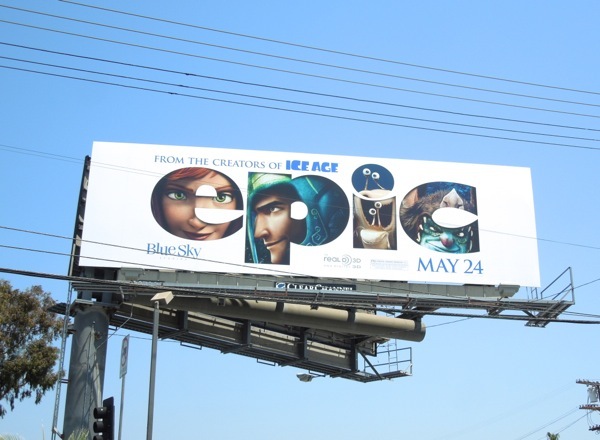 If you like this ad, be sure to check out these funny billboards for Ice Age Continental Drift too, plus a wealth of other animated movie creatives here at Daily Billboard.